LALIVE Partner Noradèle Radjai has been appointed as a member of the Steering Committee of the newly created IBA Arbitration 40 Subcommittee (IBA Arb 40), which commenced its activities on 1 January 2014. The duration of the appointment is two years. Noradèle Radjai is the representative for Switzerland on this Steering Committee of 16 members, composed of IBA Arbitration Committee members selected from key jurisdictions. In addition to organising symposia during the IBA Annual Conferences and Arbitration Day Conferences, the IBA Arb 40 Subcommittee will organise other standalone events and training seminars, establish task forces dealing with issues of interest to young practitioners and the wider arbitration community, and to educate practitioners on the use of the IBA’s rules and guidelines. 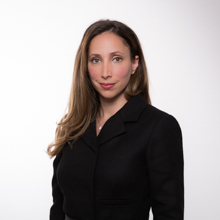 This appointment is a continuation of Noradèle Radjai’s active involvement in international arbitration associations, such as ASA Below 40 (co-chair) and the European Desk of Young ICCA (co-head), and recently the Young & International Group of the ICDR (AAA) where she was a member of the Executive Board.